All you needed was to type the size of the tyre you were looking for. As soon as the direct information from the manufacturers had been delivered, you found current stocks on the screen. It was easy to see which tyres were available, and which could be put on the stock within 2 to 14 days. "Our application allows you to receive the information you need within few seconds with one click. You don’t need to log in to several systems to know current and planned stocks" – said Bartlomiej Gluchowski, Chief Software Architect at i2D Wheel. As Gluchowski explains, the heart of the application is the data exchange protocol EDIWheel. This standard, developed by wdk (Wirtschaftsverband der deutschen Kautschukindustrie) and Bundesverbandes Reifenhandel and Vulkaniseur-Handwerk (BRV) – German trade organizations – enables also ordering the tyres, tracking orders and the service of e-invoicing. "It is hard to place the possibilities of use of the EDIWheel standard" – marks up Głuchowski. "We have been talking to many companies in the tyre industry and we are still surprised with the original ideas that show up all the time”. It is a clear proof of how flexible this tool is. 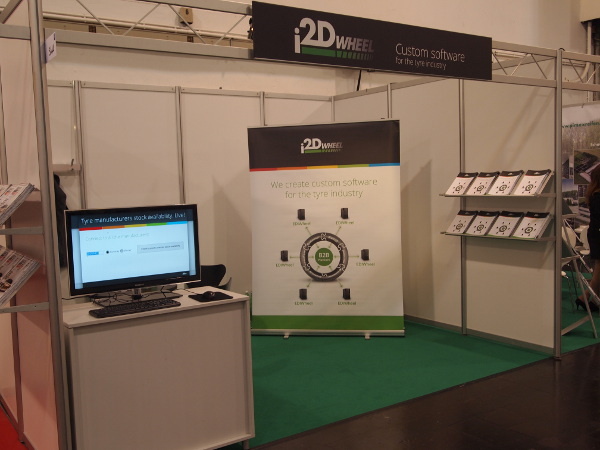 Apart from creating the software based on EDIWheel systems, i2D offers also systems for managing the fleets, wheel configurators and other e-commerce solutions for B2B and B2C areas.